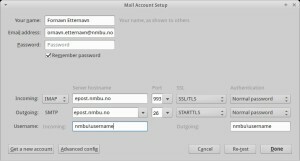 How to set up NMBU e-mail for Thunderbird. Fill in your user information. If everything is set up correctly, you can click “Done”. 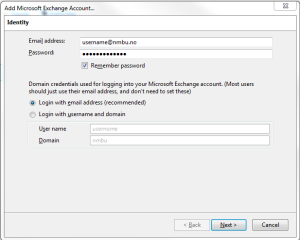 Before you can add your exchange account to Thunderbird, you will have to add an extension. 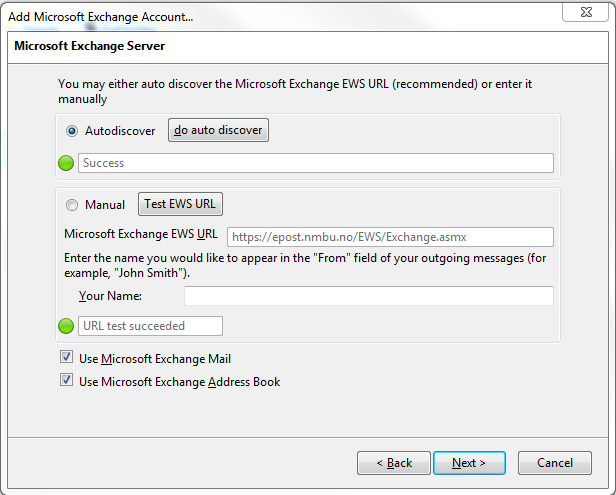 This can be found here: ExQuilla for Microsoft Exchange. Note. This addon requires an annual license for use. 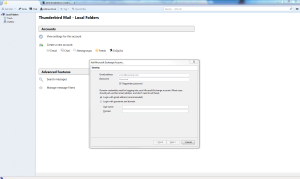 In Thunderbird, open Addons from the Tools menu. Find Extensions. 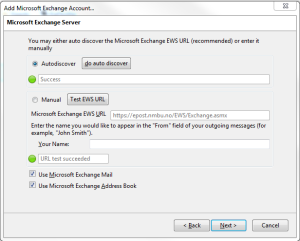 Drag and drop the file you downloaded ex. 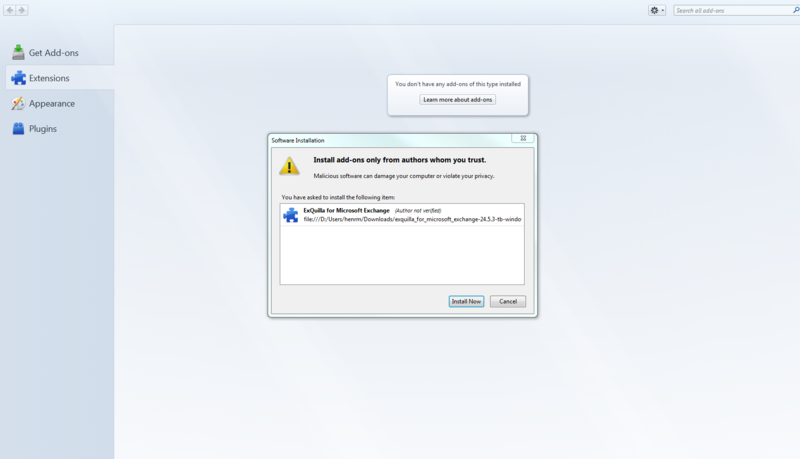 “exquilla_for_microsoft_exchange-24.5.3-tb-windows.xpi” , to thunderbird. 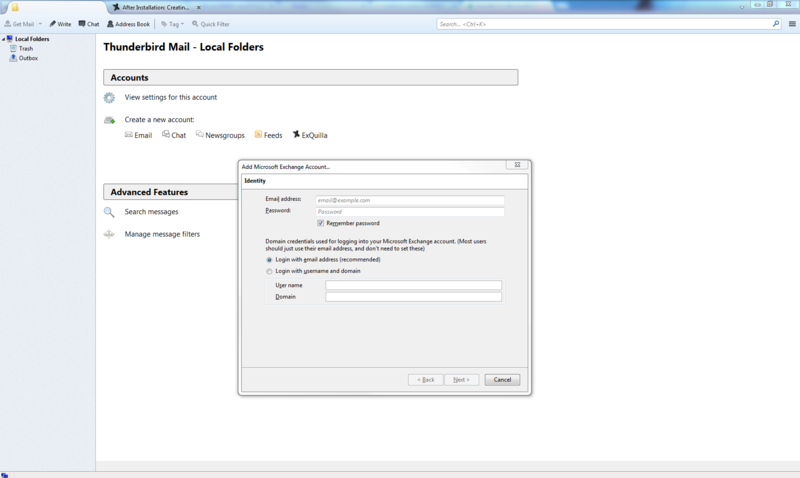 Go to Local Folders, and press ExQuilla. 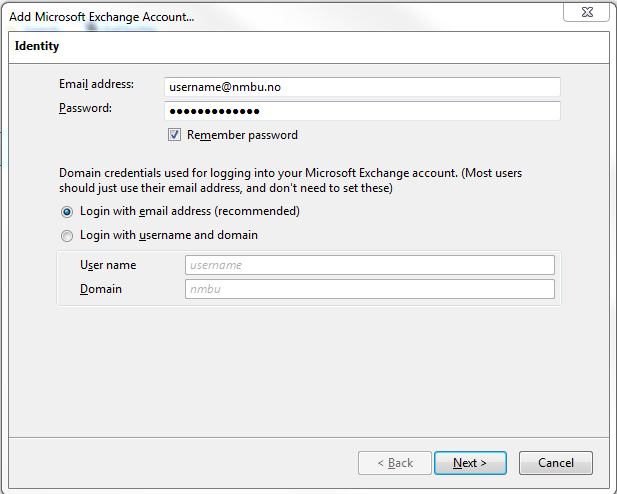 Enter your username@nmbu.no , and your NMBU password. Press: do auto discover, and Next. 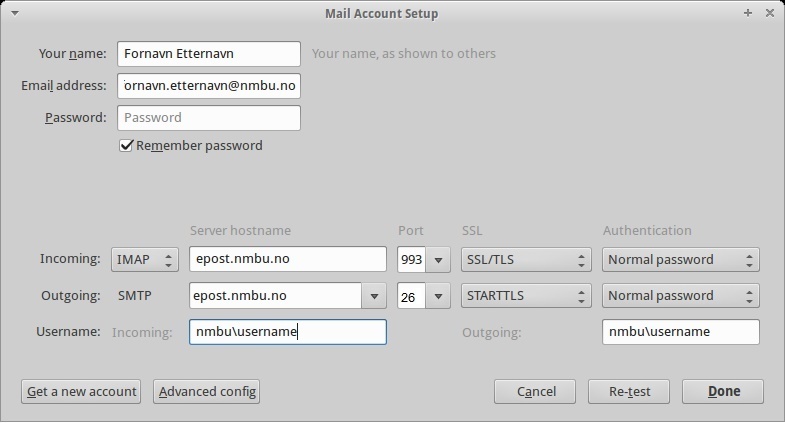 This entry was posted in IT-documentation and tagged E-mail, Thunderbird on December 19, 2013 by Henrik Michelsen.